never miss out on the biggest and best NFL matches around. No matter what your favourite sport is, Sky Sports has got you covered. Check out all the other top sports you can watch when you get a pass. How do I watch NOW TV? NOW TV lets you stream TV to a huge range of devices - register up to 4 devices on your account so you can watch wherever you are. 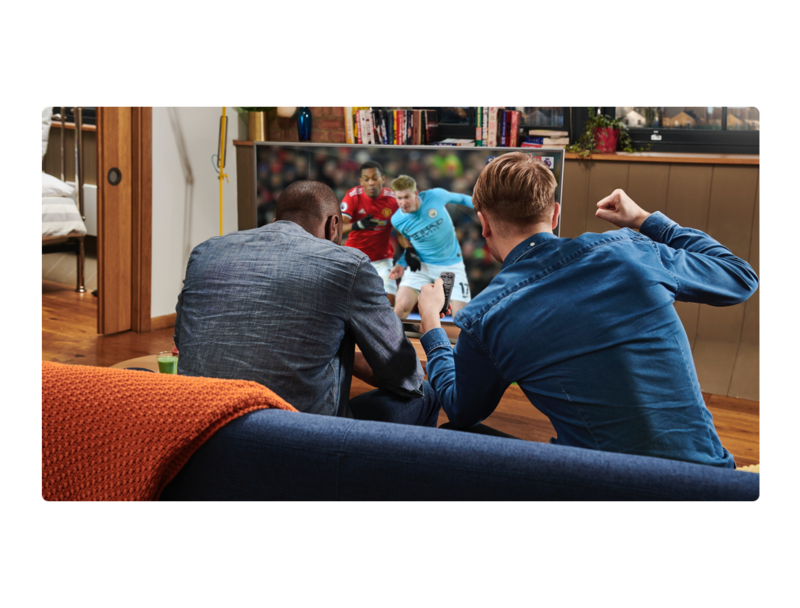 As long as you've got an internet connection you can get access to the latest blockbusters, must-see TV, great kids shows, unmissable reality shows and live sport. What devices can I watch NOW TV on? You can watch NOW TV on over 60 different devices. Watch online at NOWTV.com, download the app to watch on the go, or check out our NOW TV Smart Stick. For a full list of compatible devices and what to do, click here. Do I need a NOW TV Smart Stick to watch NOW TV? Nope! You can watch NOW TV on loads of devices including PS4™ and Xbox One and compatible Roku, Chromecast, LG Smart TV, PC, Mac, Smartphone, Tablet and more. A NOW TV Smart Stick is the best way to watch your favourite shows and movies if you're planning on doing most of your watching on your TV. To find out more, click here. Head over to our main FAQs page here for more answers. A NOW TV Pass is your ticket to watch what you want, on your terms. You can get a month long pass for Entertainment, Kids, hayu, Movies and Sports. We've also got a Sports Day or Week Pass if you just want to watch the big game! Or if you want to stream live Sky Sports on your mobile, get our Sky Sports Mobile Month Pass. Want to give it a try? Get a 14 day free Entertainment, Movies, hayu and Kids trial to see what all the fuss is about! What's a Sky Sports Pass? The Sky Sports Month Pass gives you a whole month of live sport, while the Sky Sports Day and Week Passes let you pay only for the days you want to watch. Or if you want to stream live Sky Sports on your mobile, get our Sky Sports Mobile Month Pass. Of course! You can get a 14 day free trial of Entertainment, Movies, hayu and Kids. You can get a free trial of all of them here. After your 14 days is up, you can carry on watching as normal. We'll automatically take payment using the details you give us when you set up an account. There's no contract and you can cancel at any time by logging in - just dip in and out whenever you want.